AN INTRODUCTION TO DAMP, TAKE ACTION AGAINST DAMP AND CONDENSATION. Living within a damp environment can create a whole host of structural and environmental defects within your home. Plaster deterioration and masonry erosion and all forms of fungal decay and many more symptoms are associated with moisture and dampness. Taking action against damp and condensation can save massive future expense. There are many reasons for moisture and water ingress in your property and it is very important that during any inspection of the property that the root cause of the source is remedied otherwise there will always be potential for more serious defects to occur. IF YOU HAVE CAVITY WALL INSULATION, ONE QUESTION YOU NEED TO ASK YOUR SELF. “DID YOU HAVE DAMP WALLS,CONDENSATION OR MOULD BEFORE HAVING THE INSULATION FITTED” IF THE ANSWER IS NO, YOU MIGHT HAVE FOUND THE PROBLEM CAUSING THE PROBLEMS IN YOUR HOME. Call us now, or complete the contact form. We will chat through the problems you have and get to a solution for you. The good news that many works do not require chemical treatments and are within the scope of a competent trades person depending on the defect. Using a holistic approach and sourcing the cause of the problem and dealing with it at source can save you in some cases thousands of pounds. This can be especially important if you have a mortgage pending, or the property is listed, historic or period in date. True rising damp is very uncommon and can be easily misdiagnosed, choosing a independent damp surveyor will ensure that you deal with the source of the problem and not just the symptoms ensuring that your home is preserved efficiently and hopefully as cost effectively as possible. Misunderstanding rising damp and how capillary action occurs and what can pave the way for the damp proofing companies and contractors. Condensation is also misdiagnosed on occasions as rising damp and without the correct treatment and remedies you will have a reoccurring issue, which can lead to mould on clothes, walls, furniture, odours within your property and in some cases your health could suffer. When looking at condensation it is important to see the seriousness of the issue and to see it as a separate problem from potential rising or penetrating damp. No amount of damp proof works will eliminate condensation only effective atmospheric changes will help eliminate condensation. 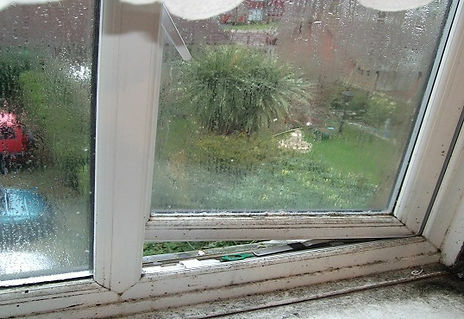 If left condensation will cause serious defects and problems to your property and cause unhealthy living conditions. An inexpensive solution is available, we can help. Vertical penetrating damp differs from rising damp as this can occur anywhere on your property, lateral damp penetration occurs on walls that are below ground, or where the external ground levels are too high. Penetrating damp is also found where rainwater goods are defective, masonry and pointing is loose and many other sources besides. Wet rot, whilst typically not as difficult to eradicate as dry rot, certainly occurs more often and can nevertheless cause severe damage within the property. The rot attacks timber in damp conditions and if allowed to go unchecked or without wet rot treatment, can be a cause of structural defects within a property. Wet rot, whilst typically not as difficult to eradicate as dry rot, certainly does occur more often and can nevertheless cause severe damage within your property.ÃÂ ÃÂ The rot attacks timber in damp conditions and if allowed to go unchecked or without wet rot treatment, can be a common cause of structural defects within a property.